"Pleased" is understatement: I am delighted that Don George, one of the great travel experts and writers now working in America, has reviewed Paris to the Pyrenees, choosing my quirky effort as his book of the month for the prestigious National Geographic Traveler magazine. Here is the lede to the story and a link to read more. 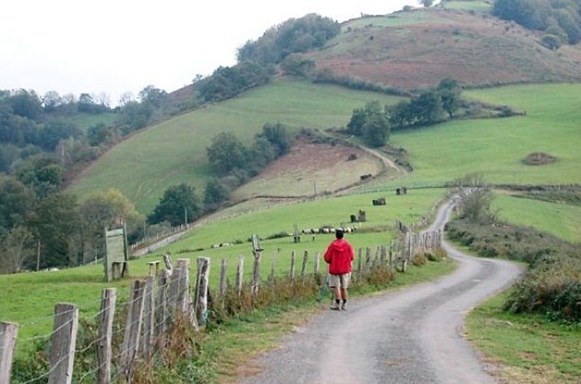 In recent years the pilgrimage route to Santiago de Compostela, Spain, has gained a certain cachet. Books have been written on it; movies have been made about it. Almost invariably, the focus of these accounts has been the Spanish portion of the pilgrimage, culminating with arrival at the cathedral in Santiago itself. In his evocative and moving new account, David Downie and his wife, photographer Alison Harris, trace this venerable pilgrims’ trail as well, but only in the French portion, ending their journey when they reach the border with Spain. Downie’s quest is unconventional in tone and spirit as well as route. He refuses to label himself a pilgrim, and his goal is as much historical and cultural as it is spiritual.